Believe it or not, it started in the U.S. military when GIs returned from World War II and Korea with close-cropped hair that was grown out on top. 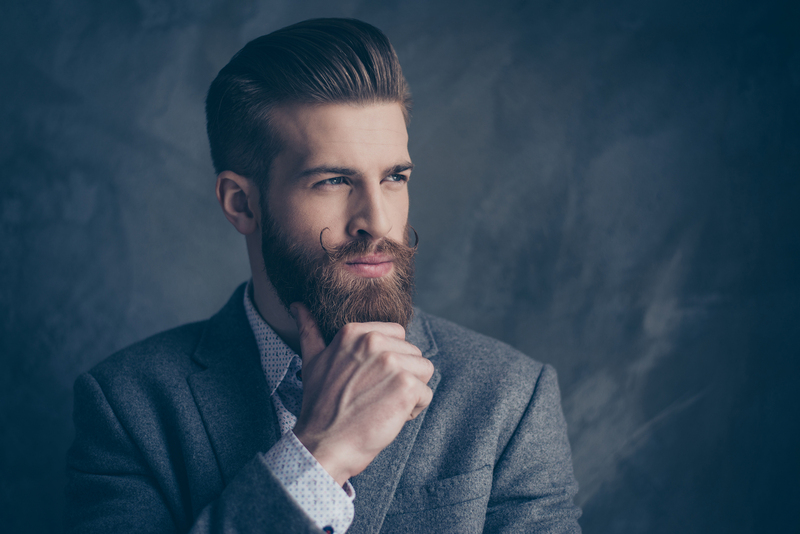 Out of favor for decades, the masculine clean-cut look has come back as a trendy hairstyle that gives lots of individual options. For the uninitiated, with a taper fade haircut, the hair gradually shortens in length from the top of the head to the nape of the neck. The fade lets you combine a short clean cut look with a trendy pompadour. For individual styling, the hair on top can be as long as you want with a choice of combover, mohawk, hightop, pompadour, or loosely curly. High or low taper fade styles? A frequent question from customers: What’s the difference between an undercut and a taper fade? While both styles feature longer hair on the top, with a fade, the hair on the side and back of your head is tapered or cut so that it gradually gets longer as you move toward the top. An undercut just means the hair on top of the head is much longer than the hair on the sides and back. Michael Anthony Salon DC is considered by many to be the best hair salon in the entire DC metro region. We are passionate about doing hair and work with each and every client to create the look that is right for them. Led by Mickey – aka Michael Anthony – each of our stylists is a highly trained professional. Schedule an appointment and find out for yourself!